Mildred Frances Rigdon Helphenstine Stevens, 85, of Flemingsburg, passed away Thursday, November 15, 2018, at Pioneer Trace Nursing Home. Born in Nicholas County on July 7, 1933, she was the daughter of the late Riley Hawkins and the late Ida Bailey Hawkins. 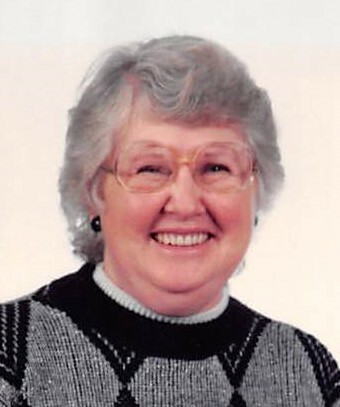 Mildred had worked as a store clerk at Wallingford Grocery and attended Wallingford United Methodist Church. She is survived by her daughters, Kathy Reeves and husband Ernie of Defiance, OH, Linda Bramel of Owingsville, Diana Melling and husband Tim of Nepton, and Teresa Knapp and husband Ronnie of Flemingsburg. She is also survived by her grandchildren, Paul Reeves, Randy (Martina) Bramel, Michael (Andrea) Bramel, Tiffany Melling and Katie Knapp; her great grandchildren, Caleb Knapp, Della Bramel and Olivia Hord. In addition to her parents she was preceded in death by her husbands, Leonard Rigdon and Charles Helphenstine, Jr.; her grandson, Mitchell Melling; her great grandchildren, Noah Bramel and Ethan Bramel; her siblings, Ed Hawkins, Boyd Reed, Carrie Hawkins, Cleveland Vice, Daisy Gulley, Lillie Boling, Walter Vice, Charles Vice and Taylor Vice; and her son-in-law, Newell “Tippy” Bramel. Funeral service will be 2 p.m., Sunday, November 18, at Boone-Nickell Funeral Home with Bro. Jerry Eubanks officiating. Mildred will be laid to rest in Wallingford Cemetery. Pallbearers include Paul Reeves, Michael Bramel, Ronnie Knapp, Ernie Reeves, Caleb Knapp, and Gage Hord. Visitation will be 12 – 2 p.m., Sunday, at the funeral home.